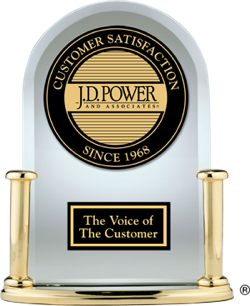 The 2012 Dependability ratings and awards measure the responses from more than 80,000 verified owners of 3-year-old vehicles annually. This rating focuses on the type and number of problems owners experienced during the preceding 12 months with their 3-year-old vehicle. The fewer the number of problems reported by car owners, the higher the score. Each year, J.D. Power surveys owners of new vehicles who have owned them for at least 90 days. In 2012, these were the top-ranked small cars and SUVs in terms of vehicle dependability. In 2012, the following compact cars and SUVs ranked highest in their respective segments in terms of vehicle dependability, according to their original owners. The playful 2012 Scion tC ranked highest in the Compact Sporty Car segment in vehicle dependability. Dependability is important to midsize cars and SUV shoppers. If you're considering this kind of vehicle, check out the models listed below, which ranked highest in vehicle dependability in 2012. In the Midsize SUV segment, the unusual 2012 Nissan Murano ranked highest in vehicle dependability. When it comes to dependability, the following 2012 large cars and SUVs are expected to deliver. In the Minivan segment, the sensible 2012 Toyota Sienna ranked highest in vehicle dependability. Strong initial quality of 2009 model-year vehicles which were produced during one of the most challenging years for the automotive industry has translated into historically high levels of vehicle dependability in 2012, according to the J.D. Power and Associates 2012 U.S. Vehicle Dependability StudySM (VDS).